This week, Amazon announced two new devices – both of which can make use of voice control, and one of which serves the potentially useful option of putting Alexa commands through any stereo. As seen in other aspects of Amazon’s business – and previous device launches – the Dot and the smaller, lighter Echo (called Amazon Tap) can only be pre-ordered by paying Prime subscribers. That’s fair enough, along with all of Amazon’s other Prime benefits, the company is fully within its rights to want to offer paying customers a little reward – and those that don’t another potential reason to subscribe. 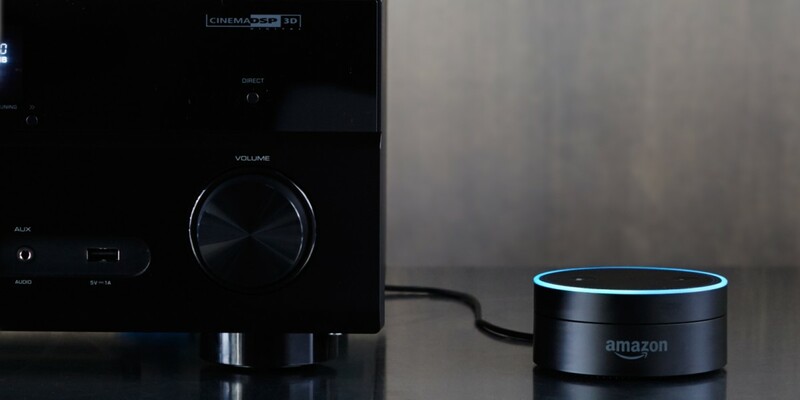 However, the far more interesting of the two devices – the Dot – was announced as only available to pre-order for Prime customers via voice command on an Amazon Echo or Fire TV. So, even if you were potentially interested in buying a Dot – and are already paying for Prime for the free delivery and streaming TV, for example – you still couldn’t buy one. That just seems the wrong side of ‘exclusive’ for me. According to Android Police, it seems that you can get around the hardware requirement for buying a Dot by using the Amazon shopping app, though this has only been tested on Android devices and you’ll need to be in the US. It’s not even an option Amazon mentions. No doubt it’ll be made available without the hoop jumping requirement and in other countries in due course. Update: No sooner had I hit publish than a tweet confirmed the same ‘trick’ works on iOS too.